With a pull printing solution, print requests can be reviewed before they are released to an individual, thereby ensuring the correct version of a print job is printed, and the appropriate person is picking up those documents. This feature can have a huge impact on the way a modern office runs on a day-to-day basis. What are the Traditional PC Printing Methods? The form of computer printing that most people are familiar with is usually referred to as “local printing.” This method consists of having a workspace with an office worker, a PC and a small desktop printer. “Network printing” is very similar. Instead of a direct, hardwired connection, though, a series of available printers are hooked up to a network. This network is usually managed through a server or a virtual machine acting as a server. Just like local printing, click “file” and “print” and the desired document immediately starts printing, only this time a user could select which printer to send the job to beforehand. These printers will either be hooked up to ethernet cables or have built-in WiFi to connect with the office network. How Does Pull Printing Differ From Older Methods? Instead of a print job being automatically sent and run by an available printer, the job is sent to a network server. The network server “holds” onto the job until an employee approaches a printing station to “release” or “pull” it from the server. Rather than having to immediately go and retrieve a document, a print job is only pulled from a printing device when an end-user is ready to do so. How is Pull Printing Useful? Pull printing offers a great deal of flexibility. You get to choose which printer you will walk up to and release the print job from. Once you are at the printer, you can use either the MFP interface or workstation attached to the printer to select the print jobs you want. If a station is busy or if you decide to print from the closest workstation to you, a user can print their documents from any printing device in the network. The central print queue is accessible from any printer. This way, if a mistake is detected after clicking “print”, an end user is able to make the correction and submit a second print request, which would be queued as well. Now, the corrected document can be pulled from a printing device, and the incorrect print job can be deleted from the same printing station. The same principle applies to wrongfully over-printing a particular document—that print request is held until it can be successfully deleted. Another useful feature of pull printing is that you can restrict access to which print jobs employees can pull. A sensitive document, for instance, could require a password or a specific badge swipe to enable its release from the network. This is huge for industries that produce and distribute confidential information all day long. There is finally an effective means to maintain the privacy of certain pieces of documentation. As mentioned before, redundant or forgotten print jobs can be a common occurrence in an office. Used printer paper can add up, especially if it is being swallowed up by uncorrected or redundant copies. The idea behind pull printing technology is to fundamentally combat these wasteful scenarios, and lower an office’s daily operating costs. By allowing users a second opportunity to review their print jobs at a network-connected printer, a great deal of excessive printing can be curtailed, which means significant reduction on paper stock and ink expenses. From a business productivity standpoint, printing issues are commonly the reason why in-office tasks take longer than they should to complete. If it isn’t an overworked printer that is starting to malfunction, or constant delays due to paper jams, then perhaps its sifting through trays full of freshly printed material trying to find the right print job. With a centralized print server available on every printing device, an end-user can circumvent these typical printing issues and print their documents. No longer are employees locked into one specific printer, they can leverage any printing device in their office and simply get on with their day. It is important to note the benefits that pull printing can bestow upon a company’s IT department. Often times, IT departments are overwhelmed with all sorts of help requests, and with a pull printing solution in place, IT administrators do not have to prioritize print-related issues anymore. 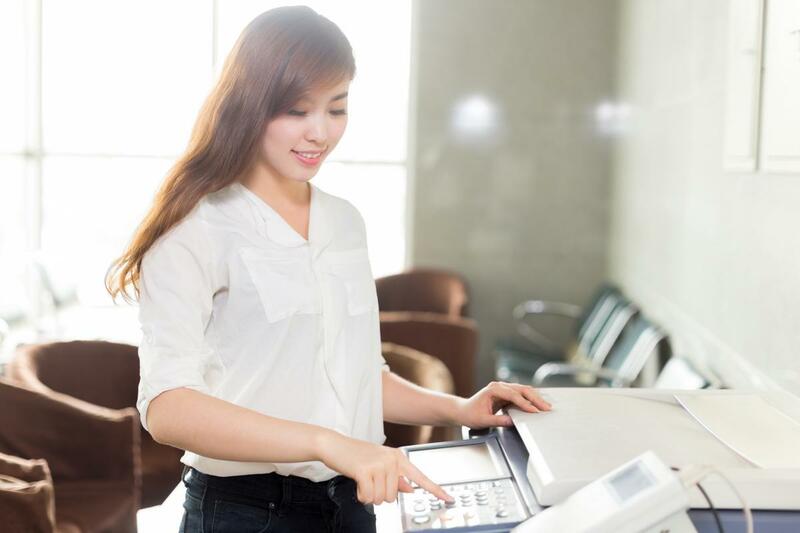 If a printing device is having complications, employees can simply use another fully functioning device to complete their printing task while an IT specialist resolves the printer issue on his/her own time. Clearly with pull printing, print tasks can be performed with more ease of mind, convenience and document security than traditional, local options. All of these benefits add up to a happier and more cost-effective office.